Thursday 19th May 2016 – 4.30pm – Murray MacGregor. A quad biker has suffered serious injuries after the machine toppled down an embankment and landed on top of him leaving him trapped against a fence. The incident happed at about 10.00am (Thursday) on a hillside between Snailbeach and Stiperstones in Shropshire. 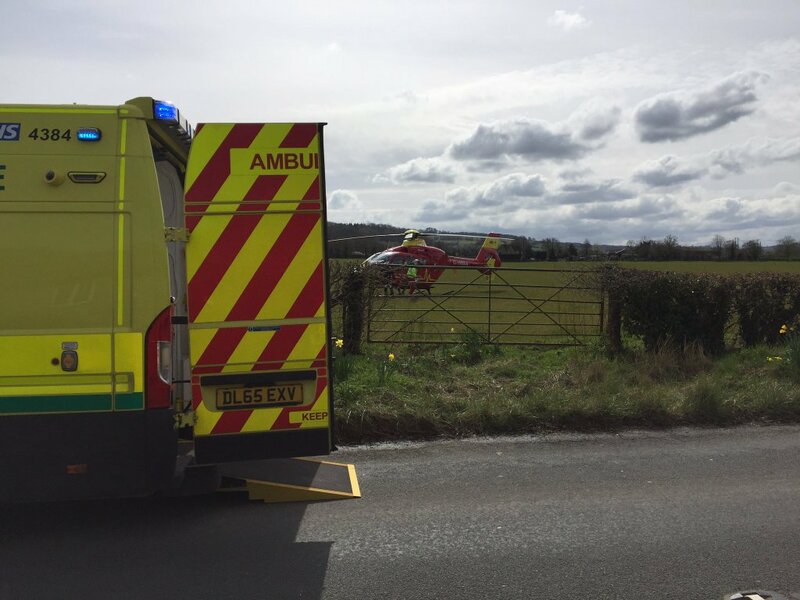 The Midlands Air Ambulance from Cosford with a trauma doctor on board was first on scene backed up by a land ambulance. A West Midlands Ambulance Service spokesman said: “When crews arrived, they found the man pinned against the fence at the bottom of an 8 foot slope. The machine was on its side with the seat against his back. “The man had pain in his chest and abdomen from the crush injuries. On examination he had broken ribs and internal injuries. “He was given pain relief before ambulance staff worked with firefighters to free him from where he was trapped at the bottom of the slope.